This dataset contains the information on the measure “Adherence to Statin Therapy with Coronary Artery Disease NQF (National Quality Forum) 0543” which is the percentage of individuals with Coronary Artery Disease (CAD) who are prescribed statin therapy that had a Proportion of Days Covered (PDC) for oral statin medications of at least 0.8 during the measurement year 2011. CMS (Centers for Medicare & Medicaid Services) has contracted with FMQAI (Florida’s Medicare Quality Improvement Organization) to provide services for the Medication Measures Special Innovation Project, the purpose of which is to develop measures that can be used to support quality healthcare delivery to Medicare beneficiaries. The project currently has a portfolio of eight National Quality Forum endorsed measures for the ambulatory care setting, NQF 0543, NQF 0545, NQF 0555, NQF 0556, NQF 1879, NQF 1880, NQF 2362, NQF 2363, NQF 2379, NQF 2467, NQF 2468. Quality measures are tools that help to measure or quantify healthcare processes, outcomes, patient perceptions, and organizational structure and/or systems that are associated with the ability to provide high-quality health care and/or that relate to one or more quality goals for health care. These goals include effective, safe, efficient, patient-centered, equitable and timely care. CMS has contracted with FMQAI (Florida’s Medicare Quality Improvement Organization) to provide services for the Medication Measures Special Innovation Project, the purpose of which is to develop measures that can be used to support quality healthcare delivery to Medicare beneficiaries. 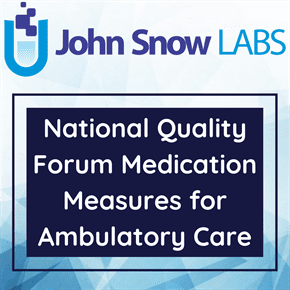 – Develop new and maintain previously developed medication measures with the potential for National Quality Forum (NQF) endorsement. – Others as directed by CMS, such as long-term care settings and ambulatory care settings. – Identify and specify up to five new adverse event measures (non-medication-related) that could be used in future QIO programs and CMS provider reporting programs in the hospital setting (inpatient and/or emergency department). The maintenance of these measures requires the specifications to be updated annually.